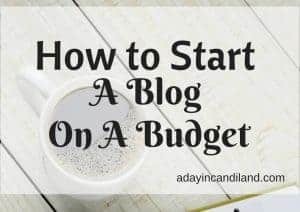 Please find the new updated version of this post on my new site Encouraging Budgeter. Start Today and set up a Christmas Budget and pay cash for all your holiday shopping. Plan ahead this year and you will avoid financial stress next year. For the past few years, probably on December 26, I would say to myself, I need to learn how to set up a Christmas budget using cash. We had stopped using credit cards about 5 years ago. Then another year would go by and the same thing would happen again around December 26th. I would still have used cash, but spent an extra weeks paycheck and need to catch up in January. That was then. It finally clicked about 2 years ago to start really managing my money, so I sat down with pen and paper and worked out a budget. We are debt free, except our house mortgage, which we have a plan in motion as we speak to pay it off. 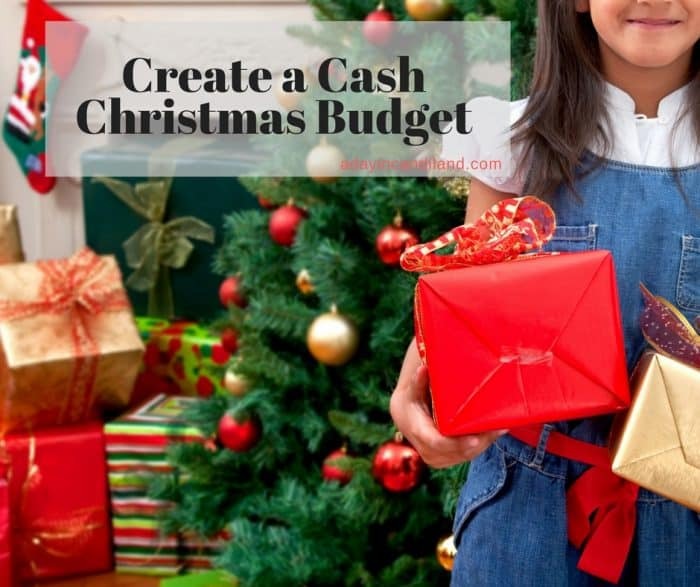 Setting up a cash Christmas budget helps you to really think about how much you spend on non-gift items and all the extras of people that you buy for when you do this. It also lets you plan ahead and start saving. Here is how I started working on my budget. Now it does change every year, so you will need to make adjustments. Another thing you may realize is once you start this it could change during the year and you may have to tweak things. 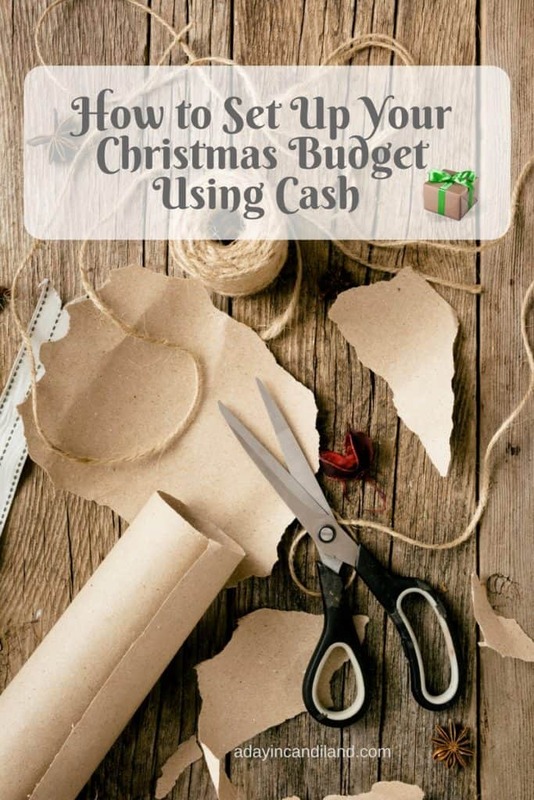 How to set up a Christmas Budget Using Cash! Decide on the people you want to acknowledge at the holidays. Write all their names down on a list. They may not get a physical gift but list all the ones you plan on giving something to. They may get a $5.00 gift card. They may even your beautiful your holiday card. Make a Christmas Card List and write down all the names you will send a card to. These may be people that will get a card but no gift. There is a cost to cards and stamps so you want to list them out so you are prepared. Choose who will get a homemade gift. 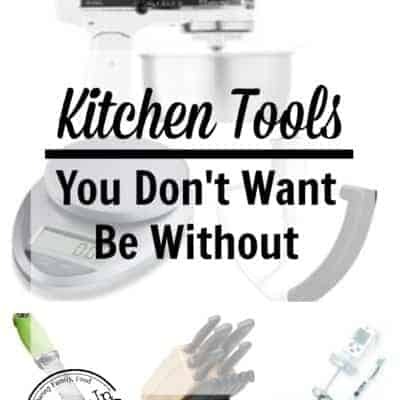 A diy gift, some homemade fudge or cookies, etc. (Maybe put teachers in this category, your neighbor, etc. Baking is my favorite gift because I can spend time in the kitchen with my daughter and then make things others will enjoy. Depending on your talent, you may have a great gift idea to give on a budget. 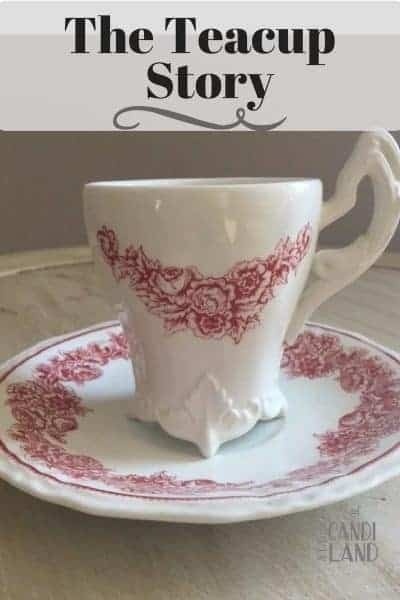 Do you spend money on decorating your home? Plants, decor, table settings. I allow money in my budget for this. Each year I collect more items so I spend less. Do you cook Christmas Dinner or have company over during the holidays. I budget for this also. Charity. We have families that we pick at church to buy for, so if you donate or give, add that into the budget. We also have an auto repair business that we give free oil changes for single or widowed women in our church as gifts. Who is on your Shopping list? This is just a memory jogger list, not a list of people you must buy for. So once I have this list made up, I start figuring out the numbers. I may start with $500.00 I am just using this number for example. If I am buying cards and I think it will cost me $20.00 plus stamps, I put that figure it. Then I start with my kids as their gifts cost the most. I will then plug that number in. I go down the list and once done, I decide can if I can save this amount. After I readjust, I divide the number by 12 or a 52 week plan depending on how often I get paid and I have my bank automatically transfer that amount each paycheck into a separate savings account. Obviously, the best time to do this is in January, but you need to start right now if you haven’t. You can start anytime, but you will have to divide the budget into how many weeks left there are. Enjoy Your Debt Free Cash-Based Holiday This Year. Now that you have your budget figured out, you can enjoy the holidays more without going into debt. Paying cash is the most freeing feeling you can have. They say budgeting and debt-free living, is 20 percent knowledge and 80 percent behavior. This is so true, you KNOW what you SHOULD do, but DO you DO it? It needs to become automatic. Start your budget, write every expense down and take a second job if you have to, to pay off the debt, have a garage sale, to start your holiday budget. The most important thing is to start setting up your Christmas budget using cash and stick to it, do not indulge. Make a dream board for what you want your budget to accomplish. 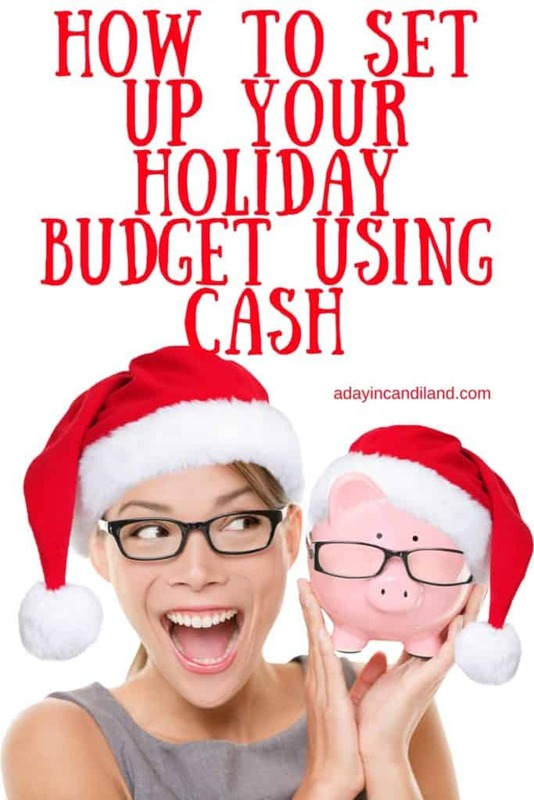 I look forward to hearing any tips you use to create your Christmas Budget Using Cash in the comments.